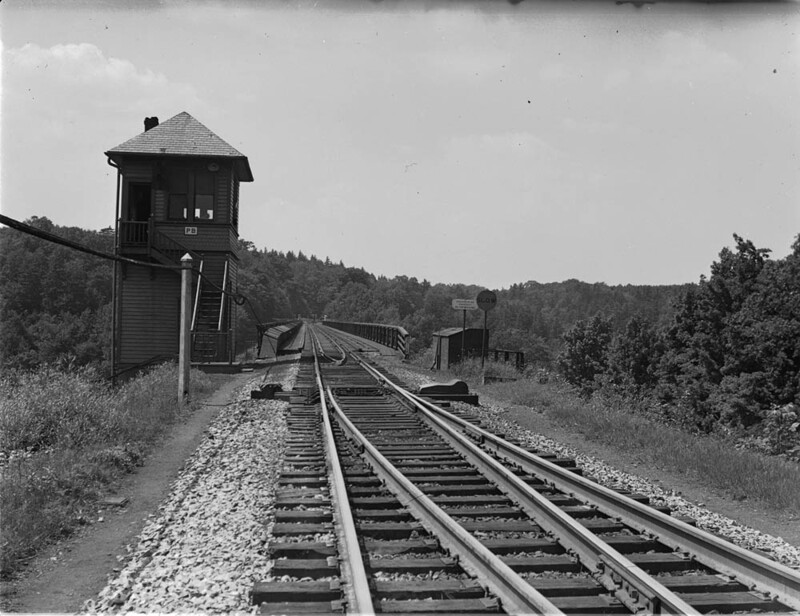 This photo was taken along the Erie Railroad tracks looking west across the famous Portage High Bridge. The image provides a great view of the railroad tower that once stood on the east end of the trestle. It appears that an employee was in the tower when the photograph was taken. We are currently looking for the specific dates that the tower was built or removed. It doesn' t appear and image taken shortly after the iron bridge was built (see photo 162), but does appear in images taken of a bridge work project during World War II. If anyone has more information on the tower, please send it to us! Special thanks to Karen Gibson Strang for sharing this image with us!